Peel and julienne ginger and slice bell pepper and scallions. Set aside. Bring a large pot of water to a boil; add wine if using. Add shrimp and cook until they turn white, approx. 2 min. Drain and set aside. Heat up some oil in a frying pan. Add ginger and sauté until fragrant. Add light soy sauce and oyster sauce, mix to combine, and simmer for approx. 1 – 2 more min. 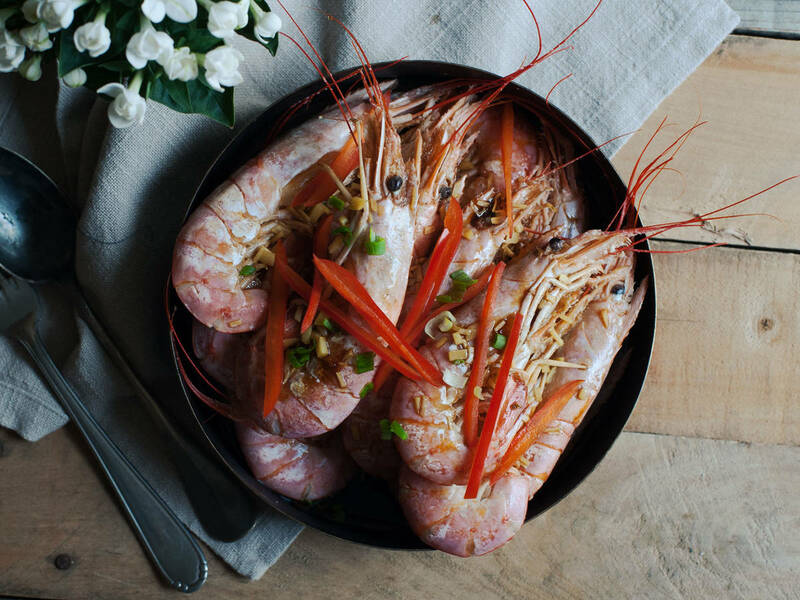 Serve shrimp topped with bell pepper, scallions, and dipping sauce. Enjoy!